CoutureOne was founded by Ariane Schilling in 2010 in Munich, Germany. The German designer has travelled the globe collecting a wide spectrum of experiences, which have inspired her portfolio. She uses her inspiration to interpret glamorous yet wearable fashion for strong feminine women. The concept of cultural diversity, exotic countries and the simple beauty of nature are distinguishably present in the identity of the label. This can be seen in decorative ornaments, luxurious material with intense and vibrant colours. Her passion for fashion and affinity to craftsmanship were valuable attributes during her apprenticeship at renowned fashion houses in Salzburg and Munich. As a result of her curiosity and persistent drive, she was offered a position in the heart of Dubai thus enabling the designer to gain further professional experience. Positive feedback was received after completing her first collection. 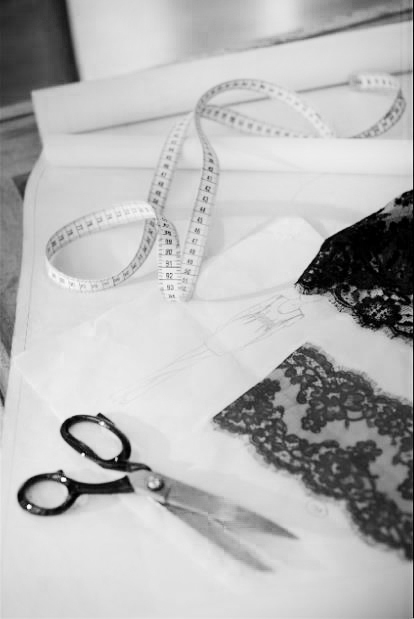 It was at this time that the concept for CoutureOne had begun its journey developing into her own signature label. Appearances at prominent fashion shows, international exhibitions within Europe enabled the designer to quickly form a network of international shops carrying her designs. Currently, CoutureOne is available in Germany, Belgium, Italy, Switzerland and the Czech Republic.